휴대전화 USIM에 발급 받아 학생증 & 신분증과 동일하게 사용 할 수 있습니다. 학교에서 배포한 발급 메뉴얼을 참조하세요. -	두대의 폰으로 중복 사용이 불가능합니다. -	오류발생시 [email protected] 이나 학교 담당자에게 문의하시기 바랍니다. USIM 모바일학생증 서비스는 아래의 사유의 경우 발급이 안될 수 있으며, 대신 QR 모바일학생증으로 서비스를 이용하실수 있습니다. - NFC 유심이 아닌 경우. - 본인 명의가 아닌 경우. 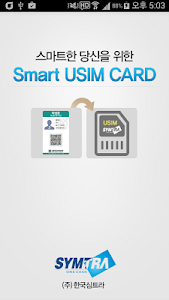 (Note) The student card and identity card issued USIM official app of Korea Sim Tra. 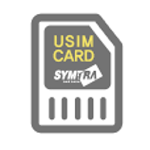 You can use the phone USIM will be issued with the same ID card and ID card. Please refer to the manual issued distribute in schools. - It can not be duplicated by using the two phones. - [email protected] error occurs, please contact the school or the staff. USIM mobile ID card service and should not be issued if the following reasons, you can use a service instead of a mobile QR student ID. - If not idealistic NFC. - If not in your name.